You may not have heard it on the news but French police picked up a terror suspect earlier this month. A woman. 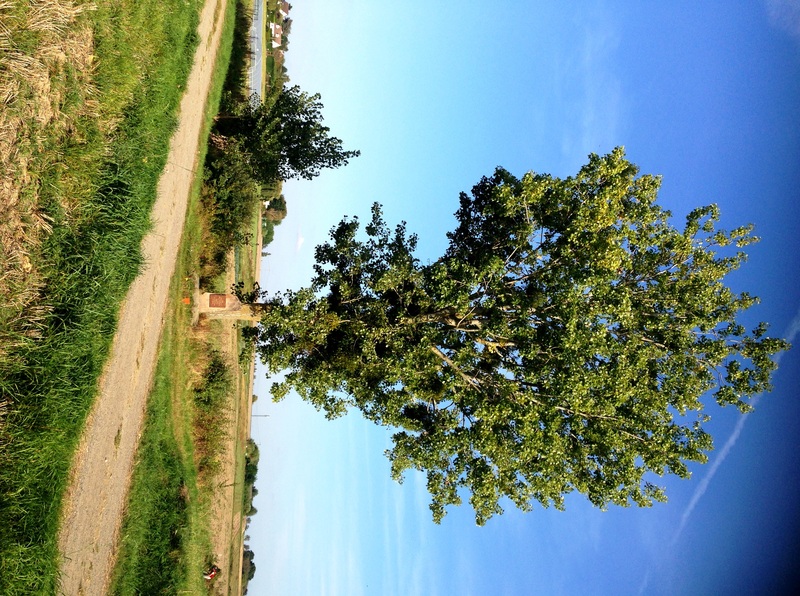 Walking by the side of the road on the outskirts of the coastal town of Fécamp, some 40 kilometres north of Harfleur. Heading along the grass verge with a determined stride, albeit with a slight hobble, caused by one of the soles coming loose from her boots, she seemed innocent enough. But it was her clothes that raised the alarm with a number of passing motorists. A rugged green smock and a headdress that while not exactly covering the face might possibly pass – if you are speeding along the highway, perhaps wrestling a stray cigarette from the carton – as Eastern. Maybe even … Arabic. The police picked up the walker under the anti-terrorism laws; the memory of Charlie Hebdo remains raw. They released her about twelve minutes later, however, when it emerged that they had inadvertently stopped a Dutch woman by the name of Maaika Buurman who was doing nothing more threatening than recreating the march of the English king Henry V’s bedraggled army from the coastal town of Harfleur to the village of Azincout, better known in England as Agincourt. In medieval costume admittedly. “It was slightly disconcerting as they seemed to know every stop I had made and every little road I had taken,” says Maaike who, when she isn’t acting out the part of camp follower in battle reenactments, works as a therapist and an actress, occasionally helping out on the Harlingen-Terschelling ferry. Ok, hold the phone a moment. 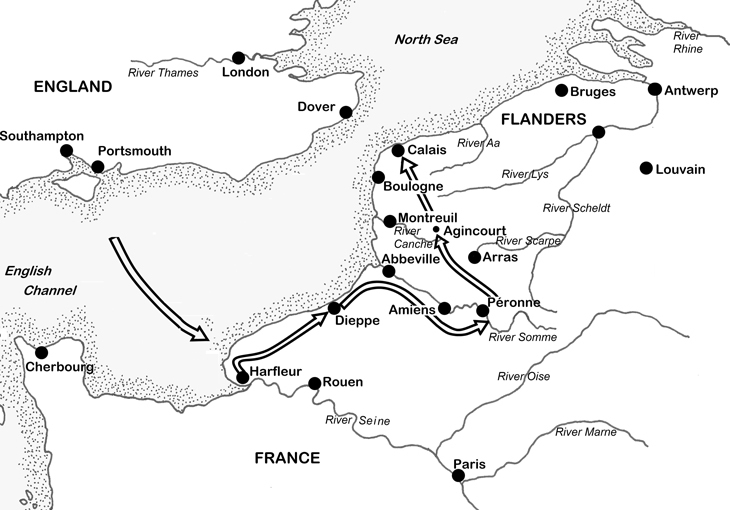 A Dutch woman walking the 420-kilometre route of the English king Henry V from Harfleur to Calais in costume? It sounds like madness, a form of Dutch Realm Disease perhaps. “I got married Robin Hood style in 1995 and i 1996 met the Wolfshead Bowmen from the south of England. 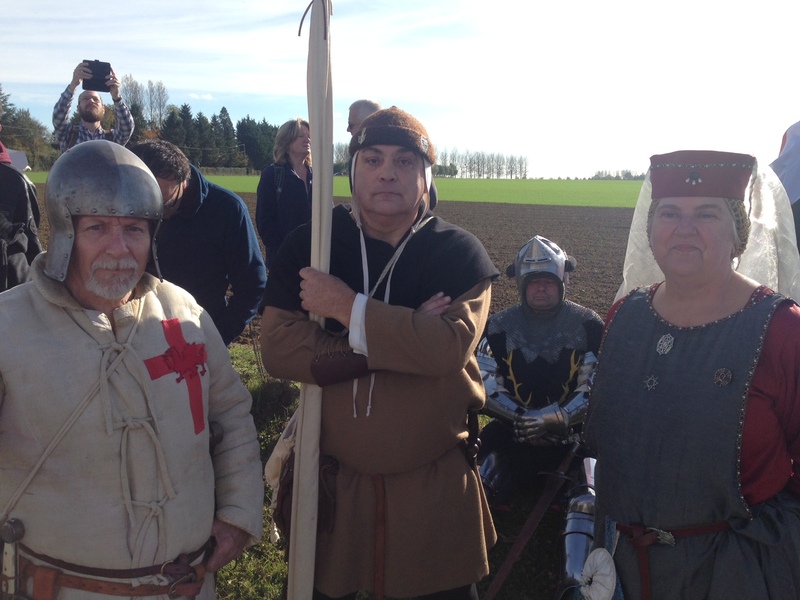 Two years later I did my first reenactment with them at Agincourt. 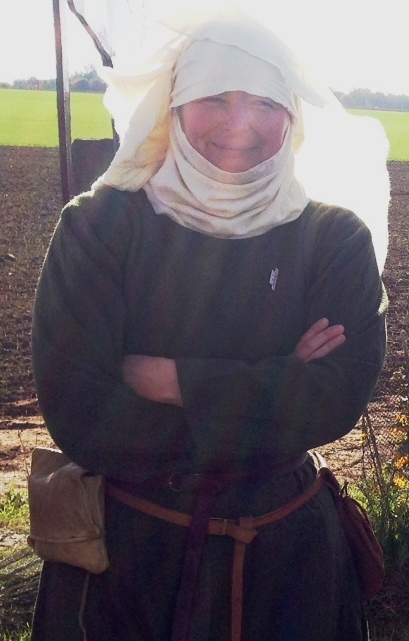 This year I decided to walk Henry’s route in medieval costume,” explains Maaike who kept a daily blog of her walking experiences. And it wasn’t just the police and public transport that caused Maaike problems. And then, of course, on the D925 from Goderville to Fécamp, came the long arm of the law. Well, the French gendarmerie may have laughed on this occasion but their 15th century equivalents were less than amused when Henry V, piqued by a box of tennis balls, went seeking the crown of France. Yes this weekend saw the 600th anniversary of the battle, fought on a boggy field some 80 kilometres south of Calais on October 25, 1415. On St Crispian’s Day itself. 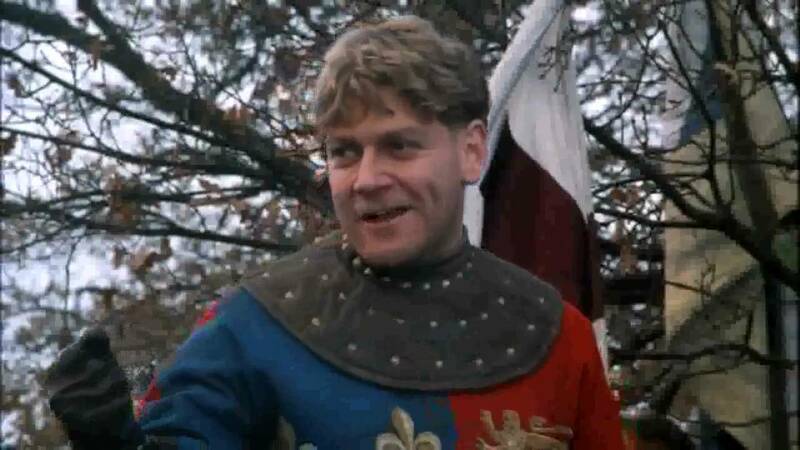 That’s right the battle of Agincourt, as the English like to call it, the one made famous by William Shakespeare, albeit with some help from Lawrence Olivier and Kenneth Branagh. Remember that speech? How could you not? King Harry exhorting his bedraggled, exhausted, hungry, sick soldiers to relish their presence on the battlefield even though the numbers were stacked heavily against them. A confession. I had forgotten about the date of the battle and was only reminded when I chanced upon a small article in a French newspaper on Friday. 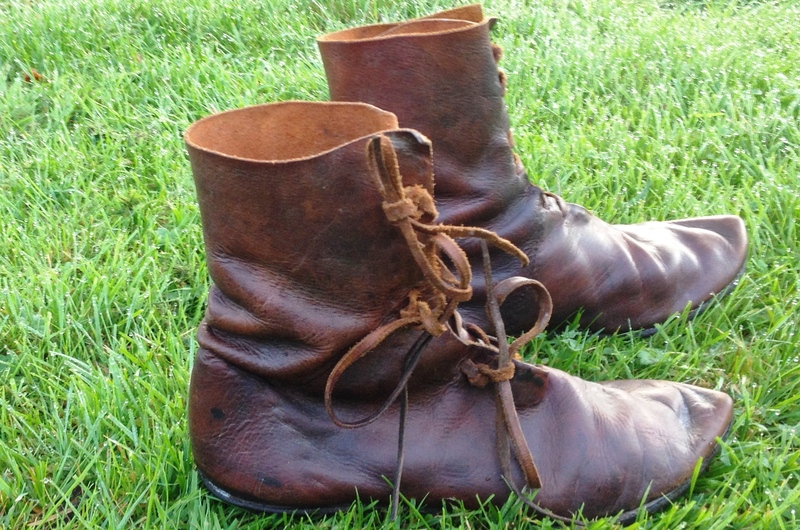 I had been to the battlefield two years ago in 2013 with The Buffers – aka my brothers Henry and Felix – who revelled in walking the terrain, calling on their own military careers to check the slight slope that would have given Henry an important advantage, and feel the thick cloying mud clinging to their boots. Ah yes, this band of brothers. The poor French, staggering into a hailstorm of arrows – an estimated 72,000 in the first ninety seconds of the battle – their horses bogged down in the mud, slipping, sliding and crushing their own men, all of whom were being forced into a central channel by the English and Welsh long bows, the machine guns of their time. 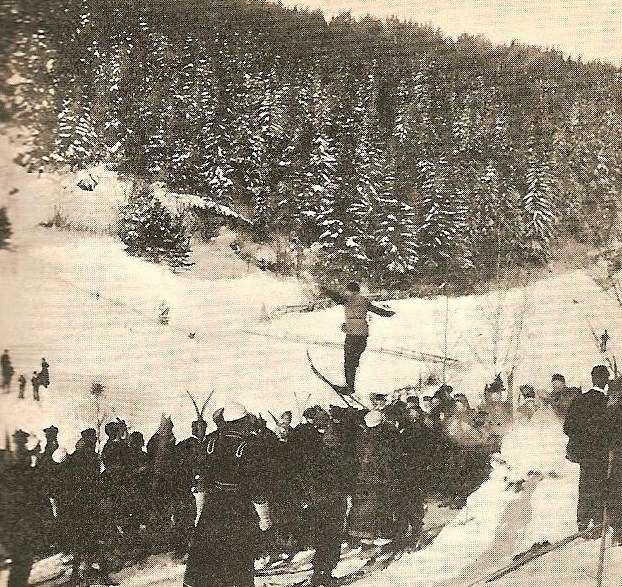 It was largely over within the first half-hour, the threat of a French comeback nipped in the bud by the clinical slaughter of several hundred prisoners. To prepare for this latest trip I force-fed my children, now 13 and 12, the Branagh version of Henry V.
It is not often I play the three-line whip but this was one of them. There may have been a “deal with it” in there as well. Sadly, I am no Shakespeare when it comes to rousing the troops. And so it was that we rose early and set off from south of Paris to join the throng and ended up meeting another band of brothers. And, as it turned out, sisters. But it does have a church. And a battlefield. And on Sunday October 25, 2015, the 600th anniversary to the day of the Battle of Azincourt, it was buzzing. A good two to three hundred people gathered in the village and then beside the battlefield, among them the 7th Baron Camoys, whose ancestor, Thomas de Camoys, the first Baron (of the second creation) of that title, commanded the left wing of the English Army. 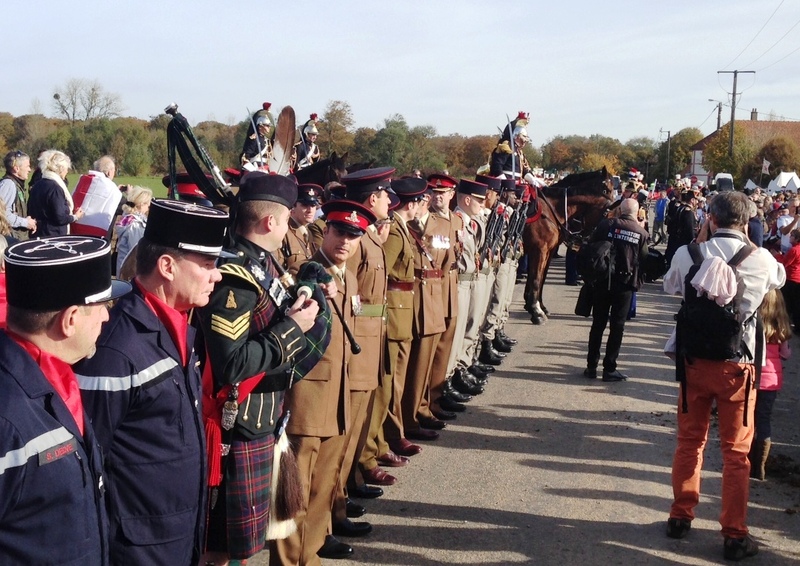 The British ambassador Sir Peter Ricketts took his place in line with the French dignitaries along with eleven members of the Royal Monmouthshire Royal Engineers (Militia) who are garrisoned at Monmouth Castle where Henry V was born. A section of the Republican Guard offered modern cavalry and a few French horns. What was most interesting, though, was the array of visitors. 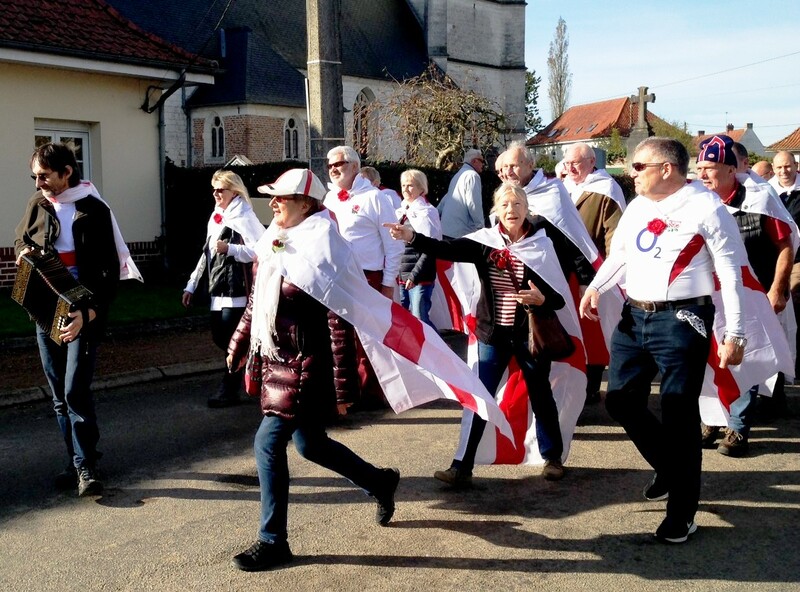 There were a decent number of French present but they were outnumbered on the day by the Welsh and the English, a large number of whom had flags of St George draped around their shoulders. The intention was good but it did hint a little at the in-yer-face bravado of an England football crowd. On a day when a new plaque was unveiled to commemorate the French and British fallen on French soil over the last six hundred years, it was s trifle jingoistic. Stealing the show were the reenacters. They didn’t put on a show – there had been an event in the summer – but they turned out in uniform and they did talk to the camera (see below); the long bows of Sarge (Keith Deeley) and Llewellyn Gog (real name, Luis Urtiaga) of the Sons of the Dragon and Sir Nicholas (Kerry) Horton and his wife Mistress Ann who run The Freemen of Gwent bringing a little bit of history back into our imaginations. And, of course, a Dutch terrorist called Maaike. Spyridon Tsagarakis is perhaps best known as a fashion designer; his clothes can be found in the wardrobes of many high profile women such as Madonna, Lady Gaga, Michelle Obama and the Duchess of Cambridge. But he is also an artist and more recently a campaigner for the righting of a wrong that Britain did to his native Greece over 200 years ago and which continues to sour relations between the two countries. “I have been working on this project since 2004 and I will continue working on it until the Parthenon Marbles are returned,” says Tsagarakis who chose barneyspender.com to reveal for the first time a photograph of one of his art works taken in front of the Parthenon in Athens (click on the photo above to see it full-size). Ever since the 7th Earl of Elgin laid out his towel in the Hellenic sun at the start of the 19th century and bought a favour from the Sublime Porte of the Ottoman Empire, debate has rumbled on about who is the rightful owner of the set of Parthenon Marbles that currently resides in the British Museum in London. 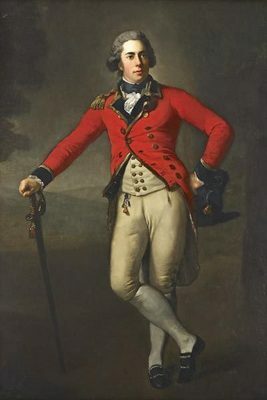 Another British earl, a contemporary of Elgin, weighed in early. Having already taken a snap at the Scotsman in his 1807 poem The Curse of Minerva, Lord Byron took a second swipe in his longer and better known poem Childe Harold’s Pilgrimage. And never knew, till then, the weight of Despot’s chains. 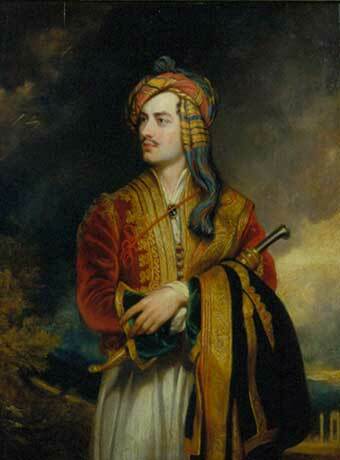 Unlike Elgin, Byron’s stock is still high in Greece, which is hardly surprising given that he showed his philhellenism not by making off with a shipload of swag but by joining the fight for independence, dying in the cause in 1824. Notwithstanding the legality of Elgin’s actions – a documentary currently being made by my old colleague Helen Skopis debunks the veracity of the firman that he obtained from the Ottomans – there is also the question of morality. Where should the Parthenon Marbles be kept: the British Museum in London, which has been custodian for the last 200-odd years, or the Parthenon Gallery of the Acropolis Museum in Athens where the marbles were born and where they resided for the 2000 years before Elgin appeared on the horizon? For Tsagarakis, who was born in Crete but is based in London, there is no question to answer. It shouldn’t be a surprise to discover that another admirer, who has invested in his work, is Amal Alamuddin, the lawyer consulted by the last Greek government about the return of the marbles. Last year saw the release of her husband George Clooney’s film The Monuments Men, the story of an Allied team trying to save artefacts from the Nazis. “Lord Elgin arrived in Athens in 1800 to make a study of the Acropolis monuments,” says Tsagarakis. “Athens, remember, like most of the Hellenic world, was a part of the Ottoman Empire. It had been occupied, just as it was by the Nazis in the Second World War. “Elgin secured a written permission from the Grand Vizier of Constantinople to conduct excavations around the foundations of the Acropolis provided that will not cause damage to the monuments and make casts of statues to decorate his home in Scotland. “Elgin had not written permission to remove any part of them. Nevertheless, he bought the silence of the Ottoman officials and stripped sculptures from the Parthenon, causing untold damage to the monument. “He removed the back of the frieze and cut sections from the Parthenon and the Erechtheion which caused one of the metopes to break. And so he dismembered one of the most important works of art in the history of mankind which had remained largely intact for more than two thousand years. For the British Museum’s justification for keeping the Parthenon Marbles in London click here. The issue so vexed Tsagarakis that he decided to use it as inspiration in his work, notably an art piece whose folds and design echo the Parthenon itself. “It started to visit the archaeological site of the Acropolis and studying each item,” he explains. “Then I entered the process of constructing the fabric in France, so that I got the right tone. The making of the fabric was the only part of the process when the work moved out of my hands. Then when I got hold of the fabric I started to crease it by hand. Four months ago, Tsagarakis finally fulfilled an ambition, working with the photographer George Katsanakis to shoot the creation at the Parthenon itself, a notoriously difficult achievement given the strict guidelines on photography of ancient monuments laid down by the Greek Culture Ministry. So important that Tsagarakis also issued an artist’s statement to run with the photo, giving his views on the Marbles. “The richness of the folds, which made the Ancient Greek sculptures unique, is used as a means of expression through a modern approach. This particular collection of my work, under the umbrella titled ARTWEAR, is a conscious choice with cultural reference to Ancient Greece. These art pieces, consisting exclusively of loose folds of wool, imply the ancient Greek statues, some of which have not been returned to Greece and are still in the British Museum. Each and every one of the Parthenon Marbles is a monument of inestimable value both for the Greek nation and humanity in general. For Tsagarakis, who says his works belong more in museums than on catwalks, the ancient culture remains a major influence on his creativity. “The art of Ancient Greece has exercised an enormous influence on the culture of many countries right up to the present. Single-handedly, Tsagarakis, who has agreements in place to work with Givenchy, Alexander McQueen and Hermes, may not convince the British Museum that it should return the marbles to their birthplace. But he is another artist chipping away at the hard rock of public opinion. With the help of the likes of Lady Gaga, Björk, Lana del Rey and the Duchess, he may just keep the issue in the public eye until the day the marbles are returned home. You can keep in touch with Spyridon through his Facebook page. 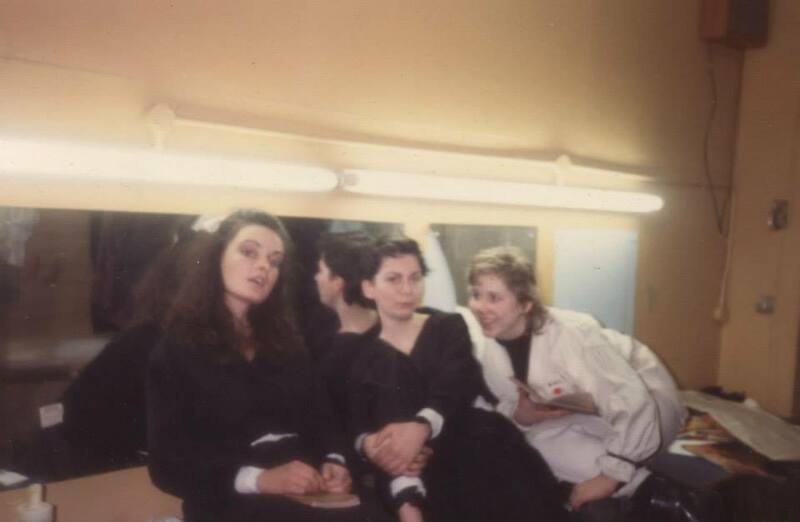 Some time ago, in the dim and distant past that was the 1980s, I was in a Dublin University Players’ production of John Webster’s The Duchess of Malfi. It was really a very good production, directed by Declan Hughes, later to make his name as a playwright and crime writer, and starring the excellent Rosemary Fine as the Duchess. Two other familiar names in the cast were Darragh Kelly, a regular at the Abbey and many other theatres since, as Bosolo and Ian Fitzgibbon, now a film director, as one of the murderous brothers. I have a feeling that the cast also included future Booker Prize winner Anne Enright and another film director Mary McGuckian. I had the less thrilling role of Antonio, the schmuck who secretly marries the Duchess and ends up on the end of a sharpened poignard. It is not exactly above the titles as a role but it did afford me one speech that has stayed with me to this day. It comes early in Act V as Antonio and Delio pass through the ruins of an old church. Antonio muses on the transient nature of human life and the histories that lie under every stone. “I do love these ancient ruins. Our foot upon some reverend history. This speech comes bubbling up whenever I am in touch with history. When I was in Athens and Sparta for this year’s Spartathlon, it was all around us. Lying eyes closed in the September sunshine on a slab of stone in what was once the palace in Sparta, I mused on the thought that maybe this was where the lovely Helen of Troy – she with “the face that launched a thousand ships” – whispered sweet words of love to her husband Menelaeus or flirted with her toyboy Paris. The same goes for the various treks I have made through the battlefields of the Somme or Ypres; Crecy or Agincourt. Once, perhaps just for a day, these places were at the centre of the world. Now they lie tranquil, almost forgotten. 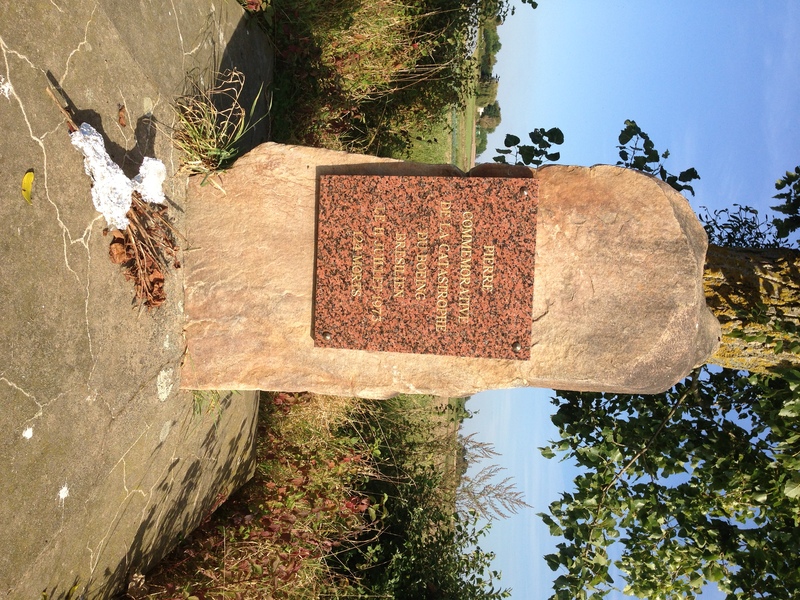 A couple of weeks ago, came back to me again, rather unexpectedly, as I stumbled across a piece of history which was totally new to me; a piece of history that blazed across world headlines for a few days but is now remembered only by a small plaque by a tree in the corner of a French onion field. It was a glorious sunny September evening. My daughter was having her riding lesson at a stables on the edge of a village called Saulx les Chartreux, around five kilometres south of Orly airport on the outskirts of Paris. As she and her group went for a short ballade across the fields, I followed at a distance. And then stopped at the tree. Just in front of it was a stone and a bunch of dead flowers beneath a plaque. 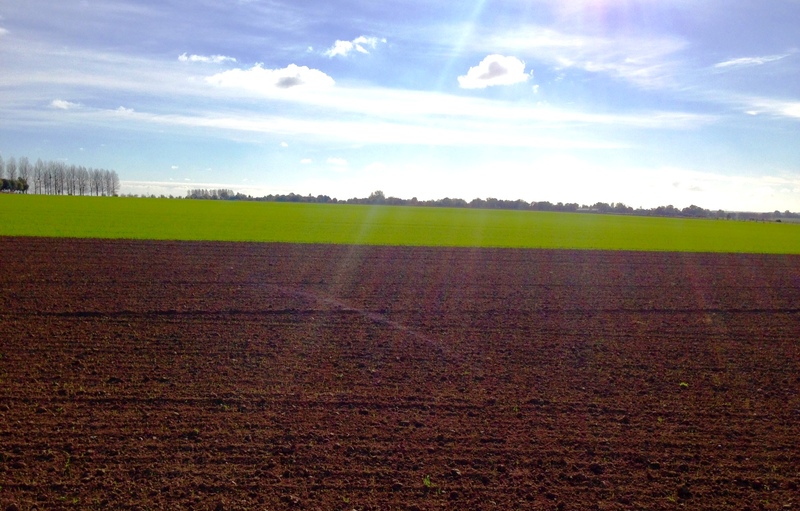 I read the plaque several times, looked at the surrounding fields, and heard the silence. 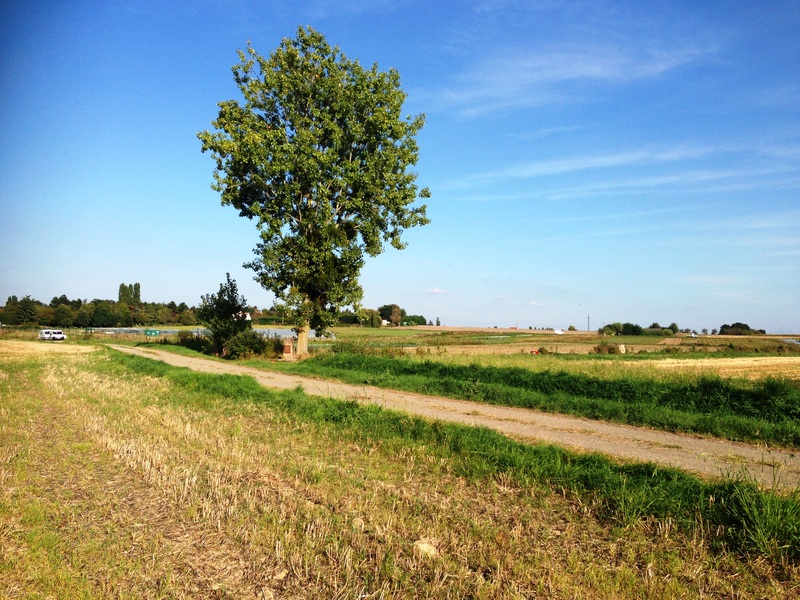 It didn’t make sense; this bucolic scene, the horses marching in Thelwell tranquillity through the harvested fields, children laughing, whisps of cloud lightly smearing a perfect blue sky. I struggled to imagine the noise, the heat, the terror and death of that July day. Then a plane arced overhead on its way to Orly airport, leaving the vapour trail to disperse and join with those whisps, and the words on the plaque began to make sense. The story starts in Brazil. 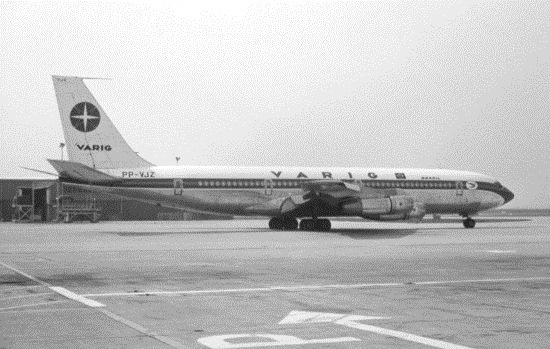 Varig flight 820, a Boeing 707-345C, taking off from Rio de Janeiro in the middle of the night on a scheduled flight to Paris Orly. On board, 17 crew and 117 passengers including the Olympic sailor Jorg Bruder, singer and composer Agostinho dos Santos and in an odd quirk of political even-handedness the right-wing politician Filinto Muller – president of the Brazilian Senate – and the left-wing Argentinean revolutionary José Joe Baxter. History doesn’t relate which of those 117 passengers felt the urge when the plane was over France and closing in on Orly to clamber out of his (or her) seat, stroll down to the rear of the plane and wait for the toilet door to open; was it seconds or moments before another passenger emerged and the man/woman stepped inside? Who was it that tapped the end of the packet and slid out a cigarette; flicked the lighter and sucked in deeply, feeding the craving for a nicotine hit? It may just have been one or two puffs to silence the monster, then a quick stubbing out and into the waste disposal with the remainder of the cigarette. After that, wash the hands, splash the face and leave, shuffling once more down the cabin to find the right seat. Maybe a stretch, a quick chat with the passenger in the next seat and seatbelts on, ready for landing. Just a quick smoke, that’s all. Never hurt anyone, right? Within moments, the smouldering cigarette found a source of life among the many paper towels that had been used during the course of the flight. It sparked into flame, the fittings began to melt and burn and thick black smoke began to creep under the door. From there it was just five minutes until disaster struck. Perhaps less for the passengers in the cabin. 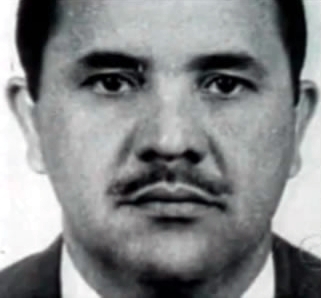 At three minutes to two in the afternoon, the captain, Gilberto Araujo da Silva, was unaware of any problem. He was given his approach orders by the Orly control tower and started the regulation descent. A minute later he got back to Orly to report a “problem with fire on board” and was immediately given permission to make an emergency descent and dropped to 3,000 feet and then 2,000. By this stage the cabin was filling with thick black smoke, the passengers coughing and spluttering, clawing for breath. And then falling silent. The crew bundled into the cockpit, donning their oxygen masks, but the smoke was creeping in there too, making it impossible to make a visual approach all the way to Orly. “I was a volunteer fireman at the times in Etampes (a few kilometres south of Saulx)…I was 17 years old,” a man who calls himself Firsty wrote on a web forum dealing with the crash in 2011. At three minutes past two, just five minutes after being given the all clear to land, the captain decided to crash land in the onion field. The landing gear was down with the flaps at 80 degrees. According to the accident report on Aviation Safety Network the Boeing “approached with considerable nose-up attitude, in a slight left bank”. 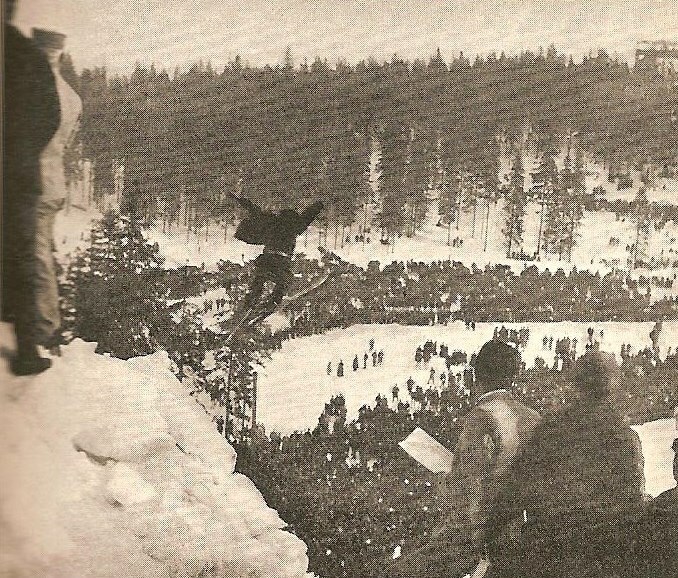 It was in many ways a brilliant piece of flying and landing by the captain. The ten crew members who had managed to huddle into the cockpit were able to escape. 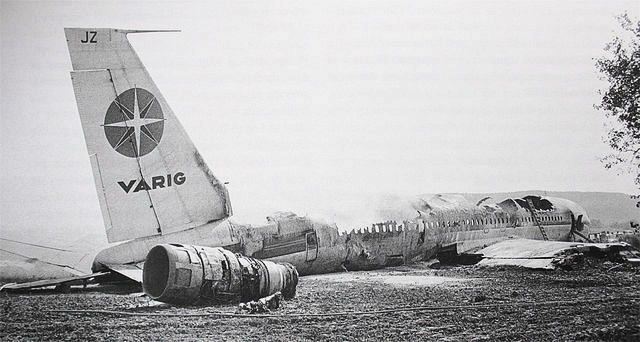 The tragedy lay in the cabin where the passengers sat immobile in their seats. 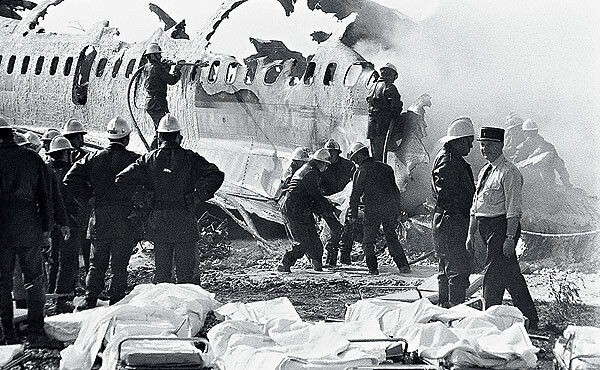 Asphyxiated by the smoke, very probably dead before the plane hit the ground. And the fire continued to rage. Farm workers ran across the field to lend a hand but couldn’t get near the fuselage. 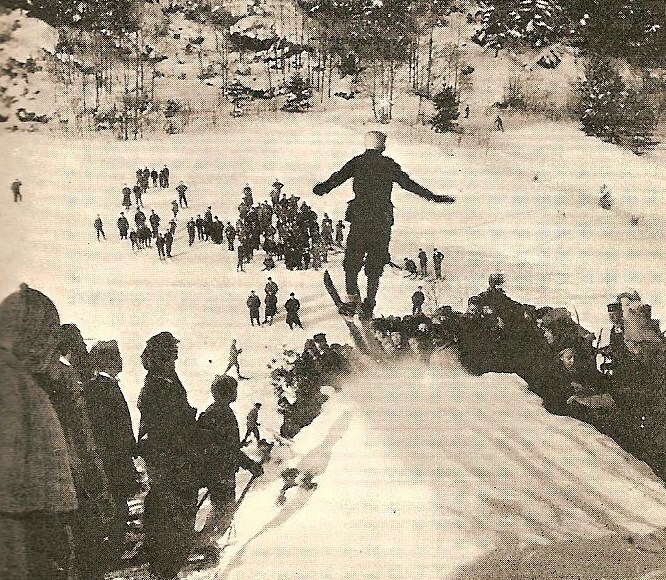 It was six minutes before any fire engine could reach the crash site. “The traffic was completely blocked,” explains our 17-year-old fireman. “Most of the fire engines couldn’t get through. The engines from Orly left to try and help but they hadn’t realised the traffic jams and they were all blocked. “My boss, Lieutenant Brunet, decided to drive through the surrounding gardens to get to the site. The firemen did manage to evacuate four people who were unconscious but only one survived, making a total of 11 survivors. It was perhaps more than might have been expected. Da Silva was indeed a hero even in spite of the fatalities. Sadly he was not so fortune six years later when the cargo plane he was flying disappeared on a flight between Tokyo and Rio. The fireman also revealed how the trauma affected those at the scene. “I do not have good memories of this tragic event. There was no psychological support and we just had to deal with it. The French commission of inquiry rather feebly recommended that passengers should be warned of the dangers of smoking in the toilets. It also called for the provision of fewer inflammatory objects in the toilets and more oxygen masks “near the toilets”. It wasn’t until 1982 that the Texas interstate airline Muse Air opened its doors for business as a smokefree airline. Six years later British Airways banned smoking on all flights. In 1989, the US effectively banned smoking on internal flights and 11 years later in 2000 on international flights. I was back at the riding school this afternoon. A low October sun dipping over the hills casting a golden shadow over the fields. A labrador picked his way between the stubble in the field, sniffing, stopping and carrying on in his own canine way. My daughter’s class came to an end. The four horsemen of the apocalypse slipped off their mounts and led them away to the stables. Their coach, Anne, leant by the paddock gate and lit up a smoke. I asked her about the crash. Ray Wolf, the last of the grandchildren of Edward Spender, founder of the Western Morning News, has died at the age of 99. A singer in Berlin during Hitler’s rise to power in the 1930s, she later worked for naval intelligence during World War Two. 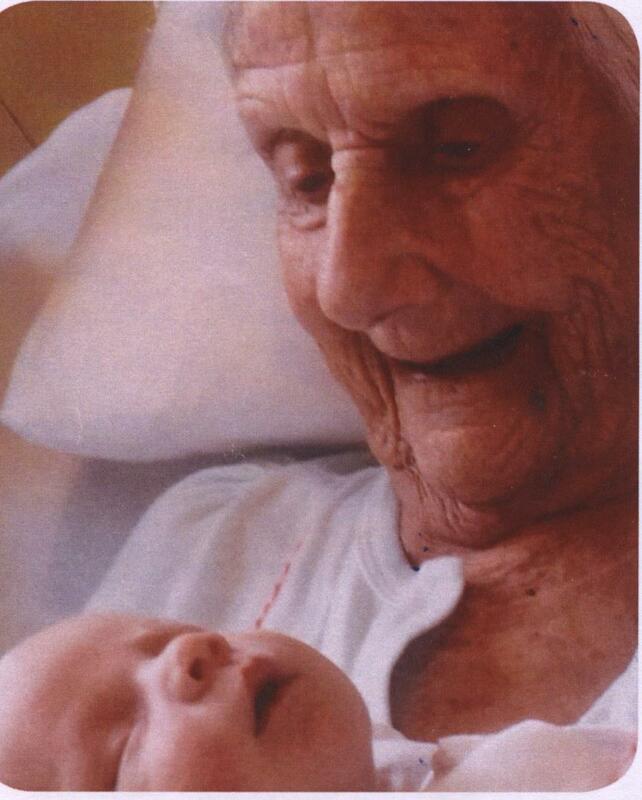 Rachel – always known as Ray – was born in Hooe, Plymouth in October 1914, the fifth of seven children. Above her, Mary, Arthur, Honor and Ted; below Christopher and Tony. Her mother, Helen Frances Champernowne, was born and brought up at Dartington Hall, the last generation of Champernownes to live there. Her father was Arthur Edmund Spender, son of Edward, founder and first editor of the WMN, who had drowned in 1878 with his two eldest sons. 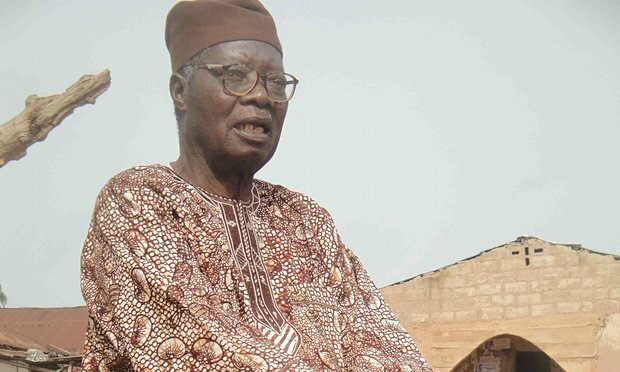 Edmund was also a journalist who served on the board of the Western Morning News. He also spent a year in 1908-09 as Mayor of Plymouth. He died in 1923 of a burst appendix when she was just eight. Her early years were spent around Plymouth and Dartmoor. One of her earliest memories was the “huge thuddering clash“ as she and her mother rang the church bell on Armistice Day 1918. After studying domestic science, she decided music was her calling. From 1935 to ‘38 she studied singing in Gissen, near Frankfurt, and in Berlin. Hitler was already in power and Ray watched helplessly as her teacher lost her opera students one by one; they were ordered to go elsewhere as the teacher was not a member of the Nazi party. Ray considered the brownshirts “just thugs” and put her foot down at her mother’s suggestion she return home. 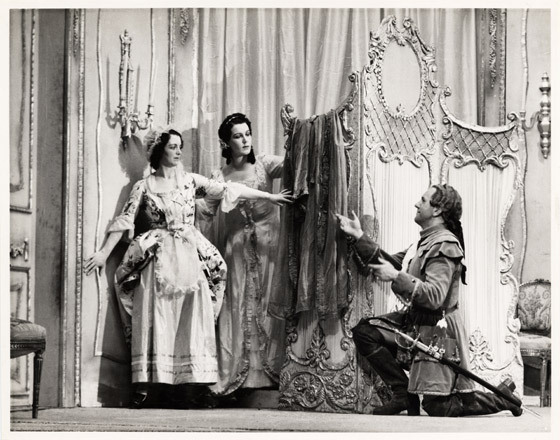 “There’s no music in England!” she insisted, changing her mind only when her mother enticed her with a ticket to Glyndebourne – a programme that included Verdi’s Macbeth and the Mozart double of Don Giovanni and Marriage of Figaro. When war was declared, Ray worked for the Red Cross at Bovington Camp in Dorset before transferring to Salisbury where she was a nurse. In 1941, she joined the Wrens. She learnt Morse – when training she said that even the birds seemed to sing in Morse “da dit de da da” – and as a fluent German speaker she found herself working with intelligence. On being posted to Abbotscliff near Dover, she worked 24-hour shifts alone in the tower taking radar bearings and plotting the position of German ships. On one occasion a German fighter plane was flying so low that the pilot leant out of his cockpit and started firing his pistol at her, prompting a swift leap into a bed of stinging nettles which offered some prickly cover. She also intercepted messages from E-boats and submarines in German and Morse, and sent these through to Bletchley Park for decoding. After D-Day, Ray was sent to SHAEF (Supreme Headquarters Allied Expeditionary Force) in London to look through captured German documents. She then volunteered to go to France where she was again a sought-after translator. 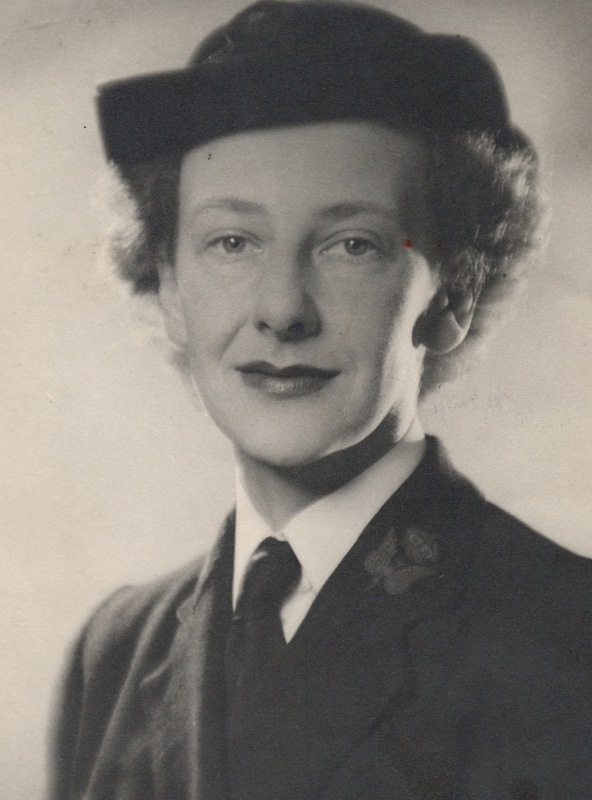 Throughout the war, she sang for the troops, collecting a good review from the Kentish Observer and Canterbury Chronicle for a concert in which she appeared in May 1944. She had a clear high soprano voice and sang professionally for years – lieder (her great love), opera, and light music on BBC radio with The Stargazers (see below) and Cliff Adams Singers. 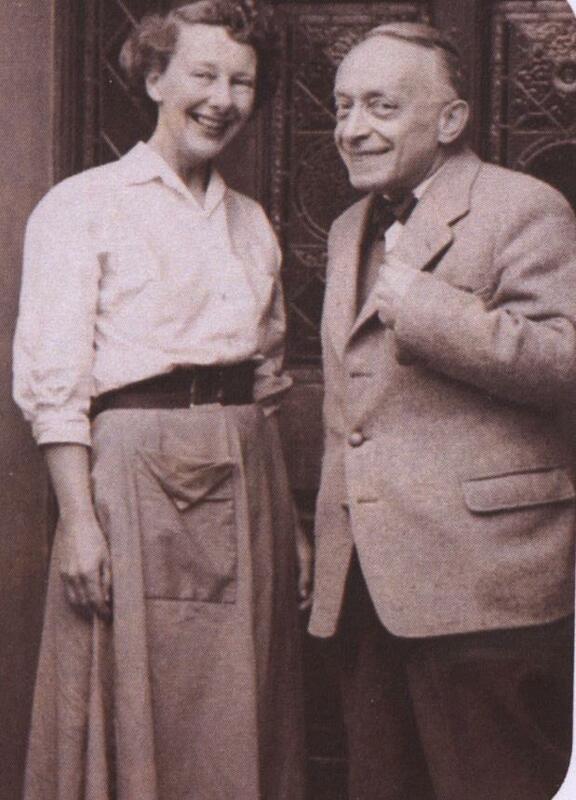 On her return from France in 1945, she married Simon Wolf, whom she had met three years earlier on the promise of a decent cup of coffee. Simmy was a Polish Jew, the only member of his family to survive the Holocaust and, like her father and grandfather, he was a journalist. 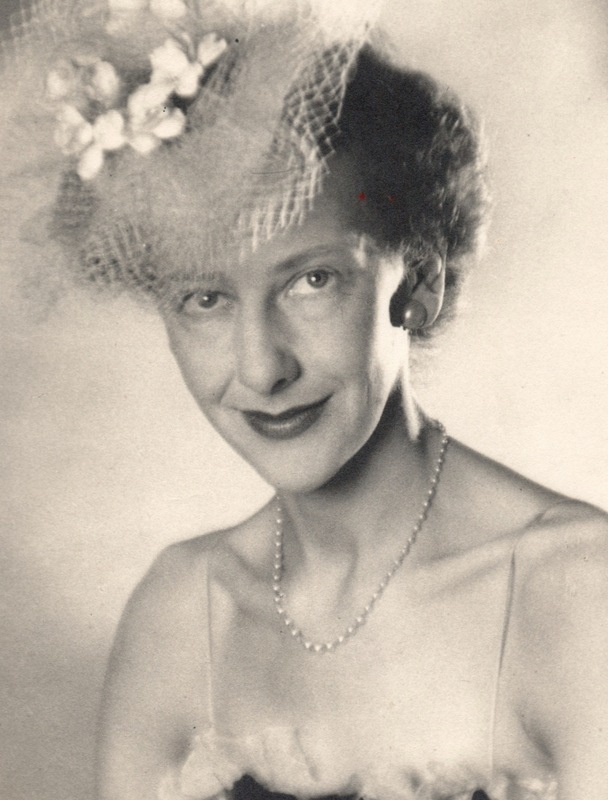 After the war, Ray settled into married life but in spite of having two children, she also found time to work as a German translator and British Council Guide. Widowed in 1966, she remained busy, learning Hebrew and working on a Kibbutz, training as a music teacher and working for the British Legion. She also enjoyed entertaining. Her dinner table in north London was a regular venue for lively exchanges on politics, history, culture and laughter. All topped off with music. If guests missed the last bus home, Ray would often sleep under the dining room table so she could give them her bed. She was fiercely independent, living alone and negotiating the London bus service, until she was 98 when she moved into a care home. Ray is survived by her two children, Nick and Francesca, two grandchildren and two great-grandchildren. 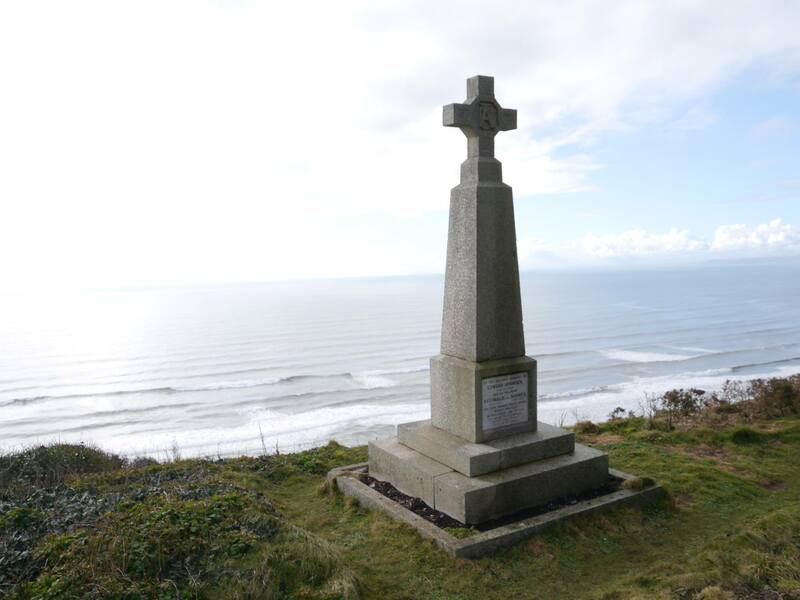 When I was a youngster, I was taken by my father to see a memorial at Tregonhawke on the cliffs above Whitsand Bay in Cornwall. 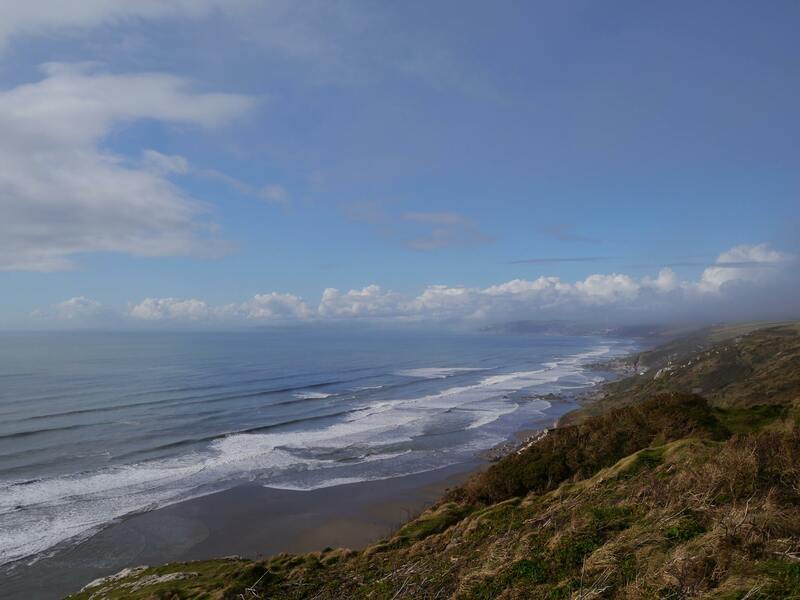 The view from the memorial is quite lovely, a long sandy beach, some rocks and the white-crested waves lapping rather than crashing into the shore. Perhaps it isn’t the best water for surfers – there are better places in Cornwall – but it is highly inviting for swimmers. On a hot summer’s day nothing could be more perfect than to pick your way down the steep path and stretch out on the sand. Enjoy the sun. Take a swim. Except. Maybe not for my family. Not if they cast a glance at the granite memorial with the Celtic cross. For on it there is a legend. 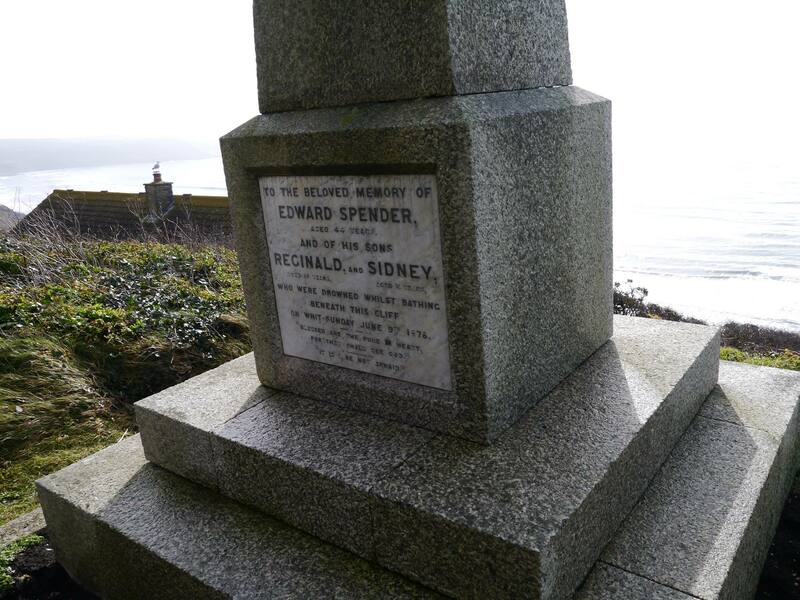 The story of the family tragedy was that my great-grandfather, Edward Spender, had died in quicksand one sunny summer’s day on a beach in Cornwall, along with two of his young sons, Reginald and Sidney. On top of that, so the story ran, my great-grandmother, who was heavily pregnant, was watching from the top of the cliffs as the three of them disappeared. The unborn child was later baptized Reginald Edward Sidney– he would always be Uncle Rex to my father – as a commemoration to the three victims. In fact, that is not quite the whole truth. Some of it is right but the details are somewhat different. Let’s roll back the years. 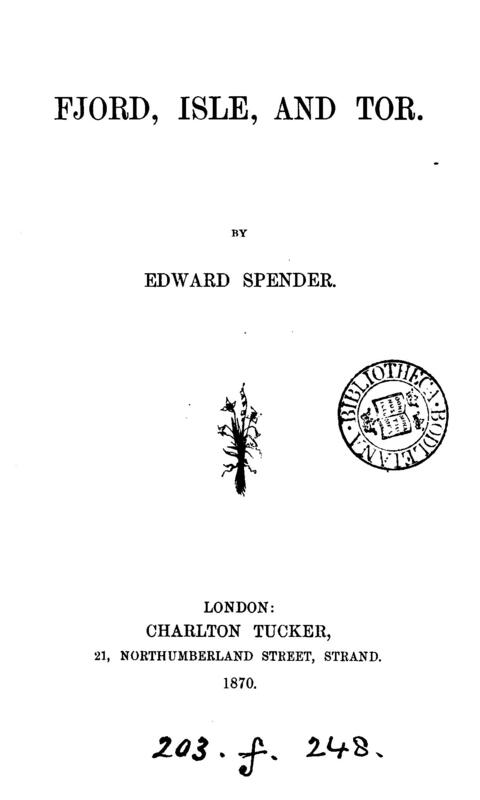 In 1878, Edward Spender was what you might want to describe as a successful man. 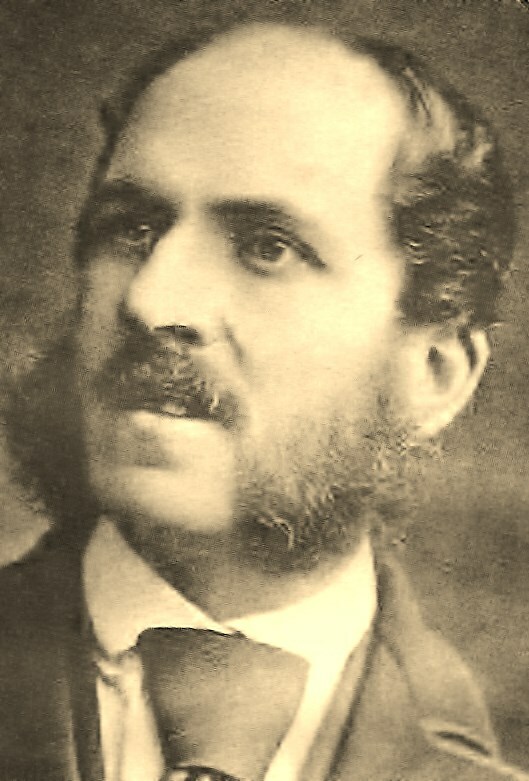 Born in Bath in 1834, son of a prominent surgeon, he had gone into journalism and happened to do so at the perfect time. 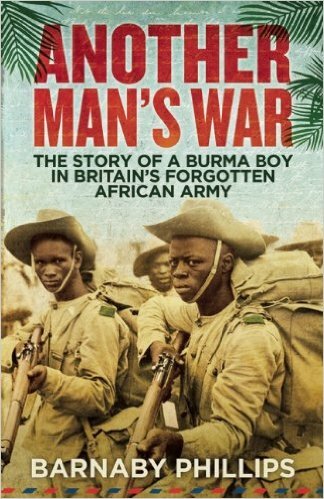 As a young man, he would doubtless have read Howard Russell’s accounts in The Times of the war in Crimea and noted the speed with which they had reached London. The industrial revolution which saw Britain opening up to cross-country train service and the wire service made the business of reporting news far quicker than it had ever been. Edward Spender saw the potential for a daily newspaper in the regions, immediately able to report what was going on in London; in Parliament, in the courts, in the heart of the nation. To this day Spenders have been good at spotting openings and ideas, less good at following them through, lacking perhaps the business savvy to make them work. If Edward was like that, then he was also lucky. His sister Caroline had married a man called William Saunders, eleven years Edward’s senior who also saw the possibilities. And had the capital and business acumen to do something about it. They went into partnership and in 1860, when Edward was just 26 years old, they set up the Western Morning News as a daily newspaper in Plymouth, some 238 miles (383 kilometres) south-west of London. Saunders was the business, Spender was the editorial. Four years later and now a married man, Spender opened up the newspaper’s London office. Contemporary accounts call him the “Prince of the Lobby” although there do not appear to be any records to that effect at the House of Commons. Sadly, much of the Western Morning News archive went up in smoke during the air raids of the Second World War. An article which appeared in the Western Morning News in June 1978, marking the centenary of his death, says he was a prolific contributor to periodicals and certainly he must have had a few strong connections as The Times and the Manchester Guardian both ran obituaries. 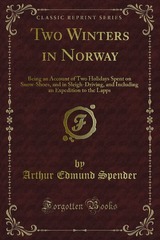 He found time to travel to Norway, writing a series of articles for the London Quarterly Review. His book Fjord, Isle and Tor, published in 1870, also includes pieces on the Channel Islands, the Scilly Isles and, somewhat presciently, Cornwall. No mention of Tregonhawke, though. The Spectator called it “a very sensible book, which anyone who meditates a first visit to the countries treated of should provide himself with”. My grandfather Arthur Edmund Spender was only seven when his father drowned but he must have been quite a role model. 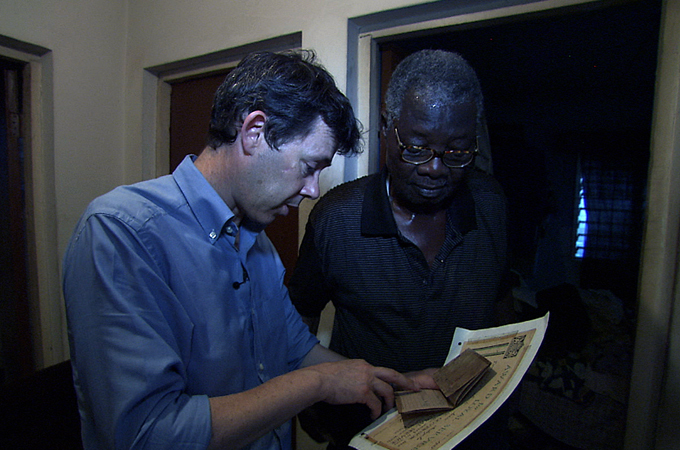 Edmund would also go on to become a journalist, acting as editor and managing director of the Western Morning News. 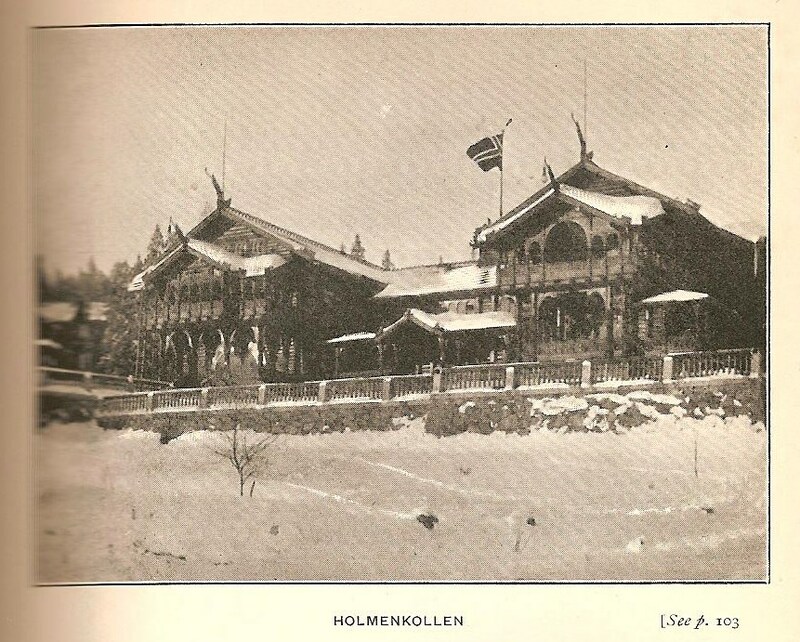 When his book Two Winters in Norway came out in 1902, it had echoes of his father’s over 30 years before. Edward’s reputation as a journalist may also have had a small influence on two of his nephews although it was mainly through the patronage of William Saunders, their aunt Catherine’s husband, that John Alfred and Harold took to the press. JA Spender was to become a highly influential editor of the Westminster Gazette; Harold Spender was less corporate in his freelance approach and wrote a number of books such as At the Sign of the Guillotine, Byron and Greece and The Cauldron of Europe. I have one of the biographies he wrote on General Smuts. It sits proudly on my bookshelf alongside the poetry of his son, the best known of our clan, Stephen Spender. 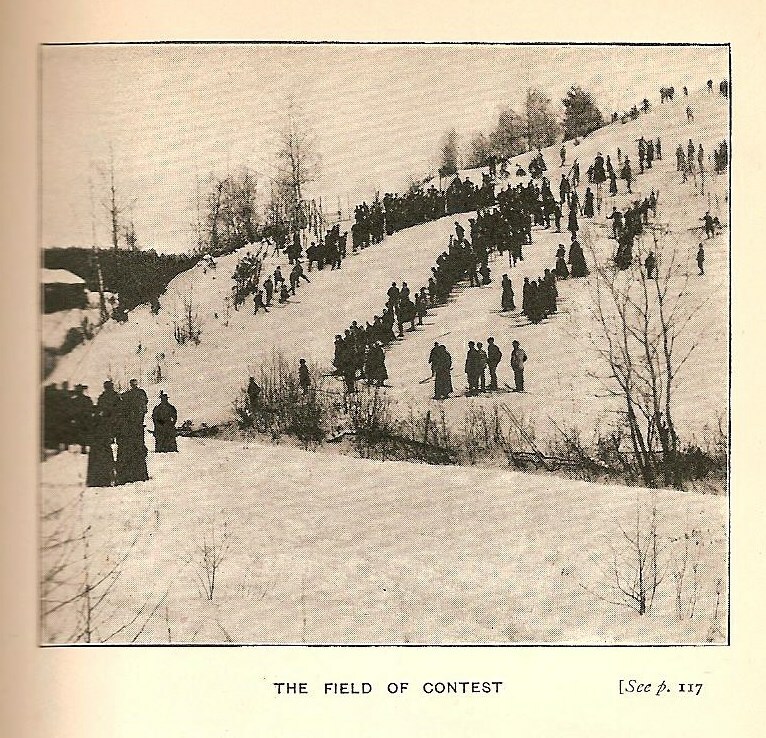 The early part of 1878 had provided its fair share of stories to keep a newsman busy. On the lighter side was the arrival in London in January of Cleopatra’s Needle. Sadly it wasn’t actually erected on the Embankment until September but certainly its initial arrival from Egypt spawned a good few column inches. On a more serious note, Prime Minister Benjamin Disraeli sent the fleet into the Dardanelles as the Ottomans squared off with the Russians. 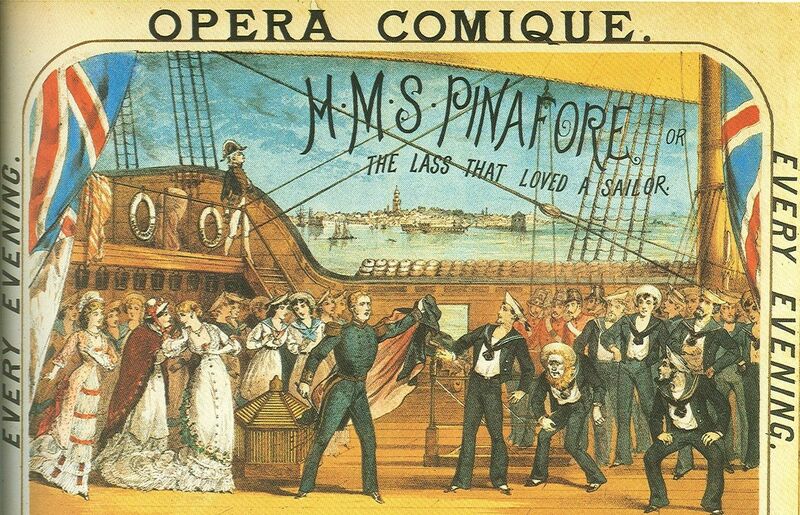 On May 25, Edward Spender and his wife Ellen were more than likely present at the opening of Gilbert & Sullivan’s HMS Pinafore at the Opera Comique. Edward and Ellen had married on February 18, 1862 at St Andrew’s Church in Plymouth. Her father was also a doctor. Thirteen-year-old Reginald and eleven-year-old Sydney were the eldest of the growing brood. Edward may even have had time to put the finishing touches on a piece about the Ottoman’s handing over Cyprus to the British on June 4 before he set off on the train for Plymouth on Friday June 7, a chance to combine some business with an outing for his two sons who were boarders at Honiton Grammar School (cost 30 pounds a year), which later became Allhallows. As Edward and his family were now based in London, he made a point of staying with his wife’s brother Russell Rendle. Ellen was well advanced in yet another pregnancy which may have been why she decided not to go down to see the boys that weekend. Edward picked up the boys in Honiton and then continued on the train, across Dartmoor, down to Plymouth. Perhaps Edward went into the newspaper office to see Saturday’s paper put to bed and he may have spent some time writing on Saturday for Monday’s edition. A Saturday evening spent with the boys and their uncle Russell during which they may have hatched their plan to go to church – it was Whit Sunday after all – and then head for the coast. Whitsand Bay at Tregonhawke, just a few miles to the south-west of Plymouth. The Victorians believed in physical health. Cricket was already a summer passion – England had played Australia in Melbourne just a year before in the first ever Test match – while rugby was already thriving in the heartland of the south-west. Plymouth RFC and Devonport Albion RFC had both been formed within the previous three years. The Wenlock Olympian Games had been set up by William Penny Brooks in the village of Much Wenlock in 1850 and was well-established. Muscular Christianity was more than just a concept; it was an ideal, a vital foundation stone as Britain expanded its influence and wealth through the Empire. Reginald and Sidney would have been all in favour of a day at the beach, even if it wasn’t that easy to reach. They would have had to pick their way from the top of the cliffs down a steep narrow path down to the Rame Head end of the beach. The three Spenders headed into the chilly sea while Russell bade his time on the sand. When he noticed one of the boys go too far out, he decided it was best to join them in the water. He stumbled as he entered the water. The following account is taken from the Western Morning News of June 10, 1878. “As he raised himself he saw Mr Spender standing with his face towards the shore, in water apparently only four feet deep with a wave advancing on him from behind. “As it approached Mr Spender seemed to rise with it but when it had passed over neither he nor his sons were to be seen. “In vain Mr Rendle – at that moment more surprised than alarmed – looked for them round the rocks and out seawards. 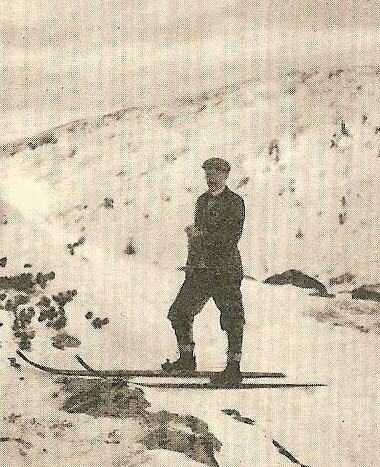 “They were gone and after a few minutes’ fruitless searching and watching, Mr Rendle ran to the coastguard station, a mile distant and fetched the men but they only confirmed his fears. The body of Edward Spender was washed up on Whitsands three days later, close to where he had last been seen by his brother-in-law. 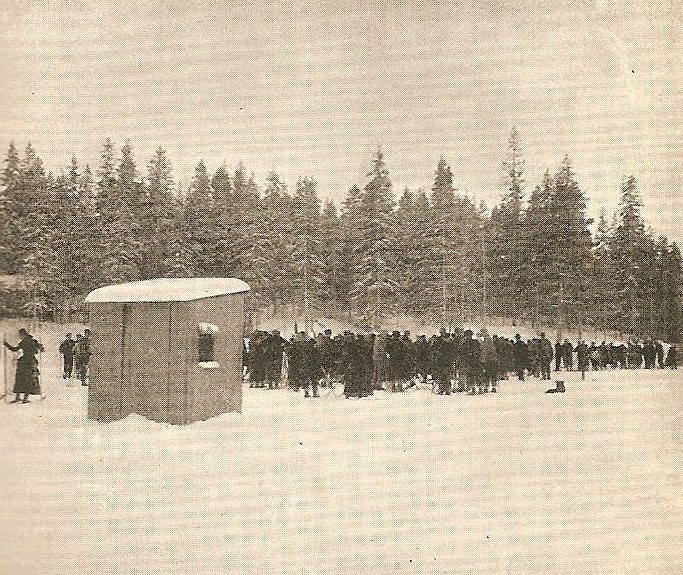 The boys were not discovered until June 22, almost two weeks later. They were floating in the water about a mile away. Because of Edward’s prominence there was plenty of coverage of the tragedy and speculation about the cause of the drownings. The bay is notorious for its rip tides so the obvious conclusion is that the three of them were bowled over by a big wave and sucked out to sea. But the fact that Edward’s body was found close by led the Western Morning News to come to a different conclusion: that they were knocked over and buried in the sand long enough to drown. At the inquest, evidence was given that said the state of the bodies suggested they had been embedded in the sand, feet downwards and had only recently resurfaced. Was it the sand, that ‘quicksand’ I had heard about when I was young? Was it the tide that just dragged the three of them out to sea? We don’t know. We never will. 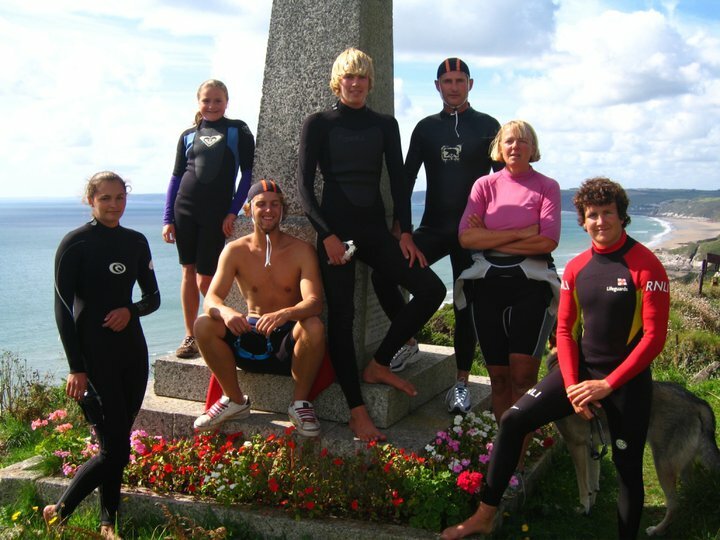 But every time a Spender takes a trip down to Cornwall, and feels tempted to stop by the memorial in Tregonhawke, you can be sure that they won’t be dipping a toe into the mighty Atlantic beyond.